KONFORT 780R BI-GAS - Dual tank station - TEXA UK Ltd. The entire service procedure is completely automatic thanks to hermetically sealed oil tanks, a scale locking and release system and automatic refrigerant weighing. 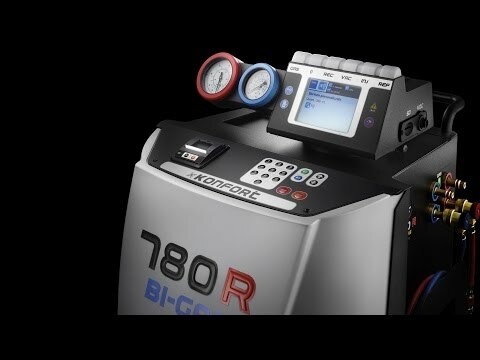 The 780R diagnosis and service station even implements a special procedure to clean all its internal circuits during refrigerant servicing. 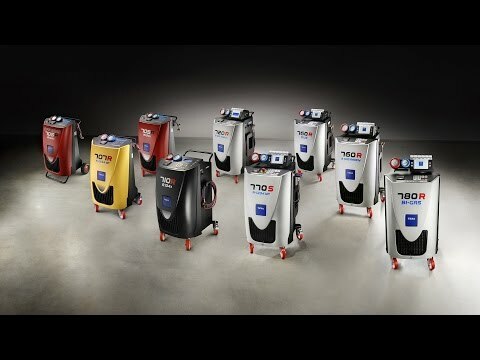 The machine carries out the flushing procedure automatically in order to clean out the system when changing from one refrigerant to the other. This procedure takes approx. one minute. The new R1234yf refrigerant has been classified as being ‘highly flammable’ and this must be acknowledged by the operator. 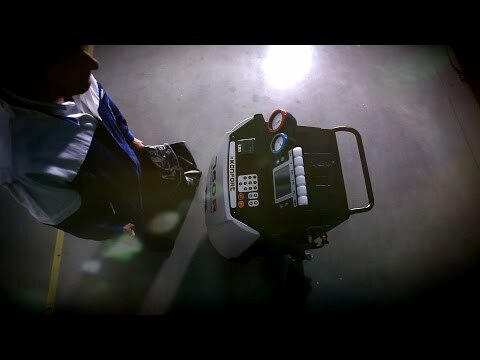 The KONFORT 700 series air conditioning service stations adopts a high efficiency redundant fan system to eliminate any possible refrigerant build up within the unit. The complexity of modern vehicles also extends to their air conditioning systems. Garages therefore need an autodiagnostic system integrated in their service station in order to solve the various problems associated with air conditioning systems and ensure maximum customer satisfaction in the process. Thanks to TEXA’s twenty years of experience, KONFORT service stations can now run complete autodiagnostics on vehicle air conditioning systems, find errors, read parameters and change settings. This extraordinary achievement is the result of complete integration, via Bluetooth, between KONFORT service stations and the practical and evolved NanoService diagnostic tool. This integrated solution* uses the display of the KONFORT service station as a monitor to upgrade from conventional servicing to the complete, simple and rapid autodiagnosis of the air conditioning system. In this way, your garage can offer its customers a truly exceptional service. Vehicle flushing kit, VDC Kit, Climate control efficiency, refrigerant identifier, air conditioning system autodiagnostics.